This year, Austin has ranked as the best place to live in America by the U.S World and News report, and when it comes to booming housing markets in 2019, eyes are on the Texas state capital. It’s poised for immense growth with an influx of young professionals and cultural/industrial development over the past decade. 2018 was a record-setting year for sales, marking the eighth straight year of unfettered growth. There are many reasons why people of all ages and demographics are moving to Austin. Older clients move there with the goal of downsizing their home to something more manageable, while couples starting families are flocking to the suburban outskirts of the city. Meanwhile, millennials and young people are moving en masse due to the city’s expansive cultural experiences. What is it about Austin? The city seems to have it all—especially for young people looking to purchase their first home. Steady job-growth across numerous industries, beautiful wildlife, a vibrant nightlife, and culinary scene, a relatively friendly climate, and storied cultural institutions. The city is especially known for its music scene; downtown Austin features numerous concert venues, and people from all over the country (and world) flock to Austin for the annual music, culture, film, tech, and art festival South by Southwest (SXSW). The slogan “Keep Austin Weird” epitomizes the freewheeling, experimental nature of the city’s artistic subcultures, many of which are clustered in the southern part of the city. Job growth is fueling many young professionals to move to the city. Major employers in Austin include the numerous state agencies headquartered in the city and the University of Texas. The city has seen an influx of tech companies, due to Texas’ reputation as a tax-friendly state for corporations. The city has earned the nickname “Silicon Hills,” since many Silicon Valley or technology companies like Hewlett-Packard, Facebook, Google, and Apple have outposts there. It’s not all sunny in Austin. As markets have heated up and job growth continues, an affordability crisis has emerged. It’s becoming increasingly difficult for millennials to purchase starter homes—skyrocketing home value makes for a difficult barrier of entry for those who would like to move to Austin, but cannot afford to. The city has a significant problem with wealth segregation, with poorer communities isolated to the east side of the city. As housing prices increase, these areas are becoming gentrified and many communities are facing displacement. Rising home values have led to a competitive market for buyers. As local realtor, Monica Blackburn tells Statesman, any home priced at slightly below the neighborhood rate will face multiple offers in a short period of time. However, as housing overall is slowing down in 2019, it’s looking like the seller’s market will correct itself and become more balanced. Nowhere is shielded from national economic trends, and it’s looking like 2019 is going to start out slow. 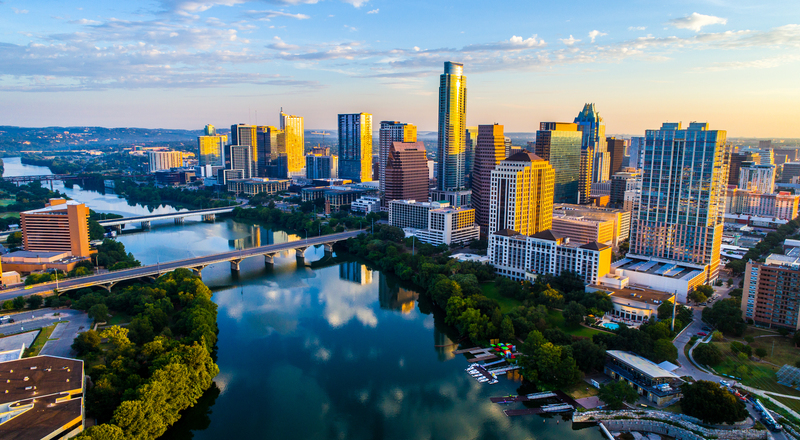 However, hot markets like Austin are, to a degree, shielded, and while many other markets are becoming buyer’s markets, it remains to be seen the degree to which that shift will occur in hot markets like Austin. Despite rising home prices, people aren’t being dissuaded en masse from moving there, as it’s one of the hottest cities in the country right now, alongside other emerging cities like Jacksonville, FL, and Colorado Springs, CO. As it continues to draw many different kinds of people, it remains to be seen how Austin will address the consequential problems of gentrification and affordability.